Six months ago, museum curator Deborah Miller had never heard of Ek Balam, an obscure Mayan archaeological site known for its carved figures. Now here she is, having traded Atlanta’s urban jungle for a remote village in Mexico’s Yucatan, tasked with overseeing Ek Balam’s excavation. 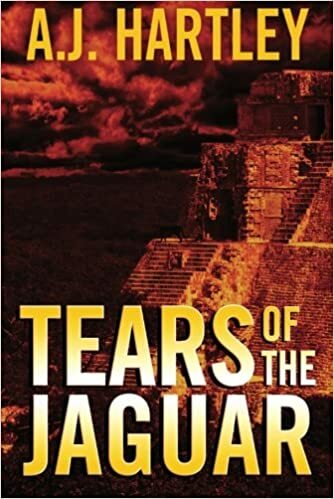 But when a sudden rainstorm causes a partial collapse at the site, an unexpected treasure is unearthed: a collection of rough-cut rubies hidden from the world for hundreds of years—and very out-of-place in the Yucatan. It is a find of immeasurable value, one that Deborah vows to protect—and yet is powerless to prevent from being stolen soon after its discovery. Determined to retrieve the stones, she sets out to trace their complex history across four centuries and two continents, from Mexico to northern England where the jewels once played a harrowing role in the Lancashire witch trials of 1612. But Deborah is not the only one searching for the stones; close on her heels are archaeologists, occultists, and one very determined arms dealer, all of whom will stop at nothing, not even murder, to claim the prize for themselves. course, doubly so since there was no tradition of crystals or stones being used in witchcraft in seventeenth-century England. All that New Age stuff about crystals and Wicca is completely different. The Lancashire witches weren’t practitioners of some alternative religion. They were poor, uneducated people who clung to whatever power people assumed they had, and their charms—such as they were—were garbled old Catholic prayers tacked on to folk remedies and curses: old-fashioned sympathetic magic.